The complete collection includes 12wt thread for hand quilting, 50wt thread for hand and machine piecing, and 80wt thread for applique. 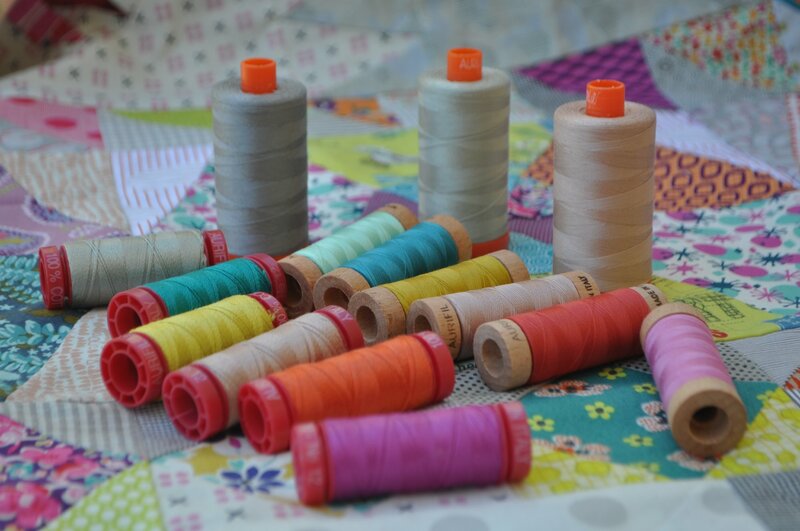 All of these threads have been hand picked by Jen to complement the look and feel of her Golden Days quilt. *Please Note: Postage will be updated once your order is collected / processed. Note that shipping times are unpredictable due to shipping company's timelines. Please allow up to 1 week for Australian mail and 2 weeks for International mail (we find it generally arrives in 5-10 business days).